Chicago has become a popular destination for visitors around the world, not only because of its undeniable beauty but also because of all what the city has to offer – world renown restaurants, well curated museums, excellent shopping, and some of the nicest people in the U.S. These are some of the reasons why Chicago was named in the top 25 destinations to visit in the United Sates, according to TripAdvisor in 2014. Chicago came in at #2, just behind New York City. The best time to visit Chicago is in the summer, so you can avoid having to be confined to the indoors because of the polar temperatures. If summer is not an option for you, the fall and spring are also good options; but try to avoid the winter months at all costs, especially January and February as it can get brutally cold during these months. 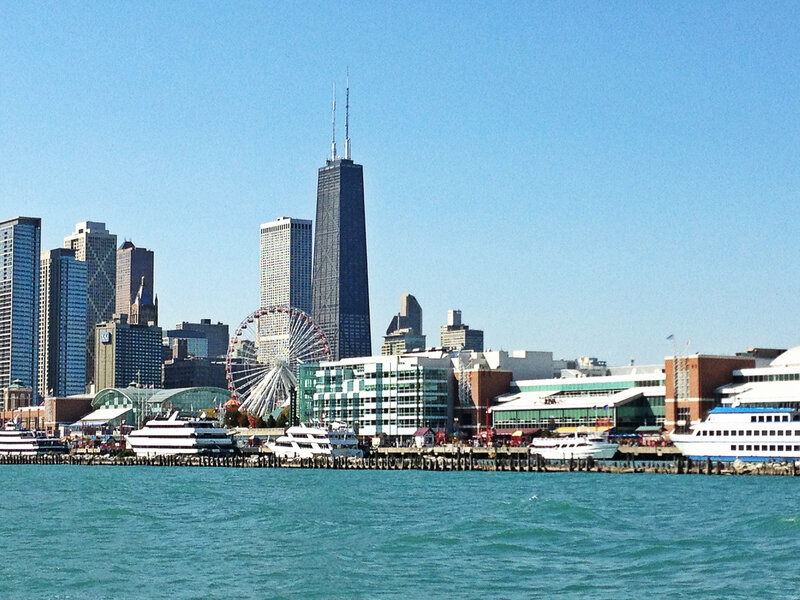 If visiting during the spring or summer, start your vacation by exploring Chicago by boat. Shoreline Sightseeing offers good architectural tours, as well as amazing tours along Lake Michigan. Upon exiting the boat tour, stroll down Michigan Avenue (going north). Visit many of the stores located on Michigan Avenue, including Burberry, Nordstrom, Bloomingdales, Topshop, Forever 21, and if your budget permits go west on Oak Street for some high end shopping. Water Tower Place along Michigan Avenue also has some great stores. If you get hungry, Bandera, Shake Shack, Bar Toma, Grand Lux Café, Le Pain Quotidien, or Big Bowl are great options for lunch. Start your day early and visit the Art Institute of Chicago, rated the number #1 museum in the world according to Trip Advisor in 2014. The Art Institute of Chicago offers world renown collections, some of our favorites being their impressionist and post impressionist collections which include artists such as Claude Monet, Vincent van Gogh, and Henri de Toulouse-Lautrec. Check out their calendar for a list of events you can attend, including their free highlight tours which usually take place on Tuesdays at 2pm. This is a great way to visit the museum and learn more about the authors and their pieces. 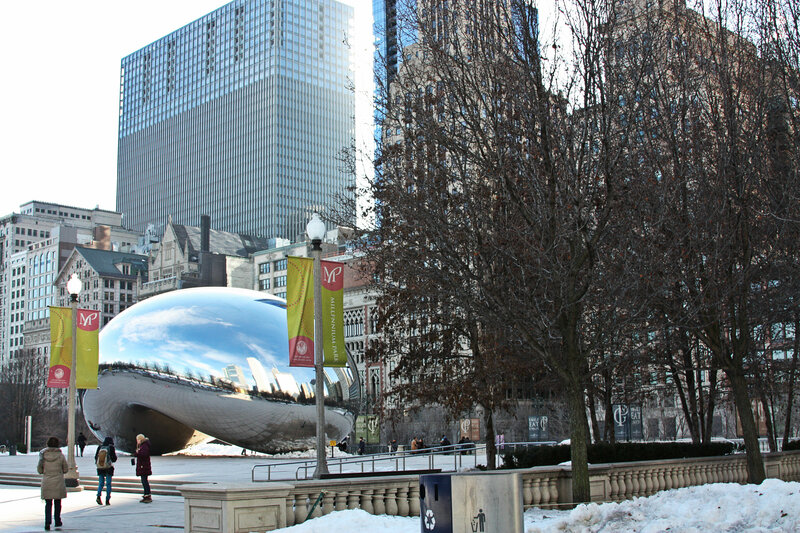 After visiting the Art Institute of Chicago, continue your tour of the city by seeing the Cloud Gate (aka The Bean) and Millennium Park which are very close to the museum. If time allows, end your second day in Chicago with a little bit of shopping along State Street by visiting Macy’s (located in a beautiful historical building), Block 37, and more. A trip to Chicago will not be complete without visiting Navy Pier, especially during the summer months when you can see the fireworks. Navy Pier is also the perfect place to visit with your kids because of all of the attractions especially geared towards the little ones. For more information on Navy Pier, please visit their official website. Visit Chicago’s Museum Campus which includes three of Chicago’s most prominent museums: the Adler Planetarium, the Shedd Aquarium, and the Field Museum. Finish your day by walking to the Buckingham Fountain to take a picture at this beautiful location. On day five, take a trip to the Lincoln Park Zoo, a favorite among Chicago locals. Then head over to Clark Street to find a place to eat. During the afternoon, visit 360 Chicago (formerly known as the John Hancock Observatory) or the Sky Deck located inside the Willis Tower (formerly Sears Tower). Chicago is known for its amazing restaurants, which is why year after year they continue to rank in the top restaurants around the world. If you are looking to have a unique experience at one of Chicago’s best restaurants, websites such Metromix Chicago, Yelp, and Chicago Eater can help you pick a restaurant that meets your likes. Some of our picks include Gibsons, Tavern on Rush, Carmine’s, Mastro’s, Siena Tavern, RPM Italian, Sunda, Frontera Grill, Fig & Olive, Girl and the Goat, and Freds. It is strongly recommended that you make a reservation as restaurants in Chicago tend to book way in advance. 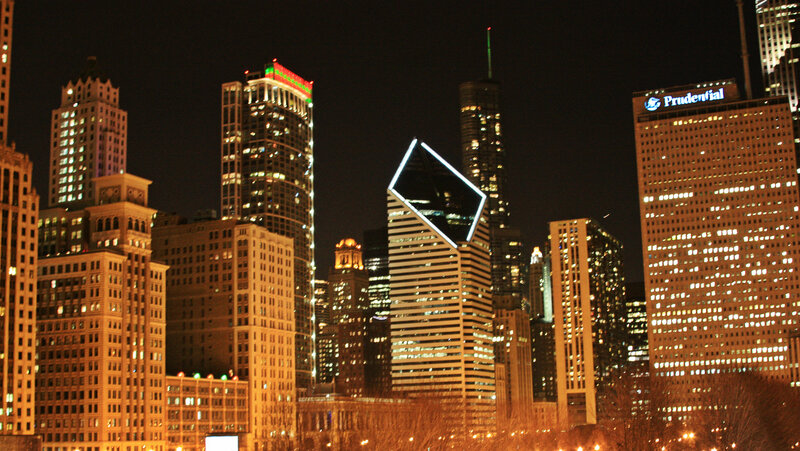 Other things to do while you are in Chicago include going to a Cubs baseball game at Wrigley Field, attending a concert in the summer at Ravinia, taking your kids to Six Flags Great America for a heart pounding adventure, or going to see a comedy show at the famous Second City. Pictures taken from Sophie’s restaurant, located on the 7th floor at Saks Fifth Avenue. Picture of Chicago at night. As the holidays near, the Jet Setter Report ventured around Chicago to take pictures of the holiday decorations from Millenium Park, to the Art Institute, to Michigan Avenue. Chicago is the perfect city to spend this holiday season. Spend your time ice skating on Millenium Park, shopping on Michigan Avenue and eating at the famous Gold Coast area, near Rush and Division. For additional top holiday decoration spots around the world, visit the Chicago Tribune website to see which city made it to the list.